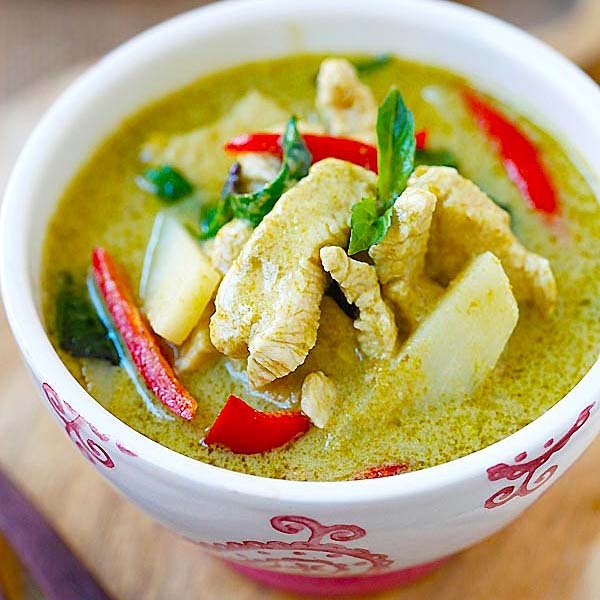 I am back with another amazing and mouthwatering Asian recipe that is sure to knock your socks off. 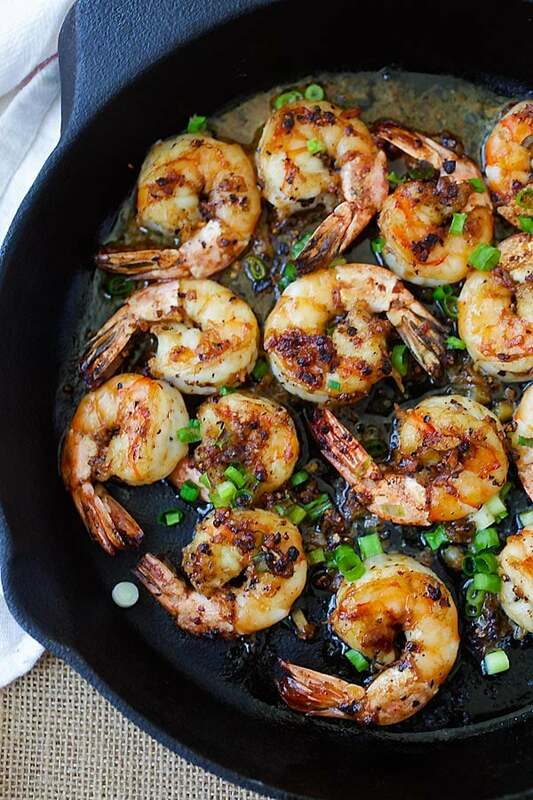 This super easy black pepper shrimp recipe calls for simple ingredients but ranks very high in the taste department. Therefore, keep reading to learn more! Similarly, this is an adaptation from the popular Malaysian black pepper crab recipe on Rasa Malaysia. Depending on which protein you prefer, you can’t go wrong with either one! In Malaysia, many local dishes are “fusion” dishes in the sense that we marry western ingredients with local ingredients and the cooking method is also a “fusion” of east-meets-west techniques. 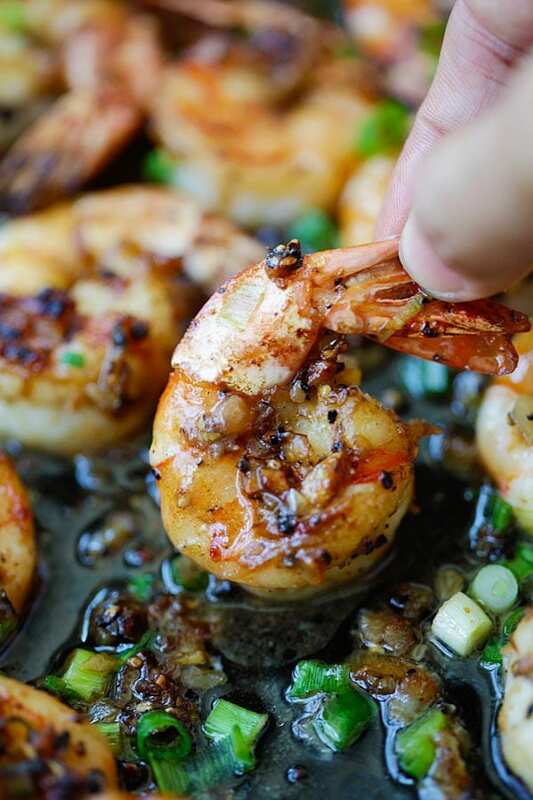 At a glance this dish could be passed off as non-Asian dish, but the addition of oyster sauce, Chinese rice wine (either regular rice wine or Shaoxing rice wine) and scallions make this black pepper shrimp an Asian concoction, with a stronger and “umami” flavor profile. 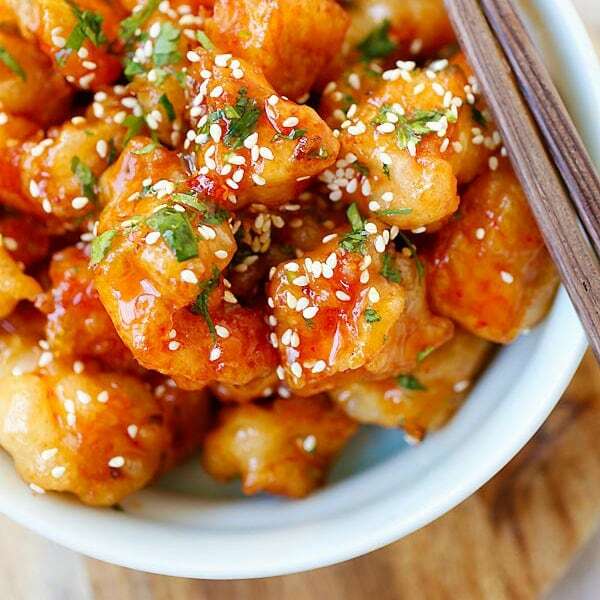 In short, you can’t go wrong with this fusion recipe! 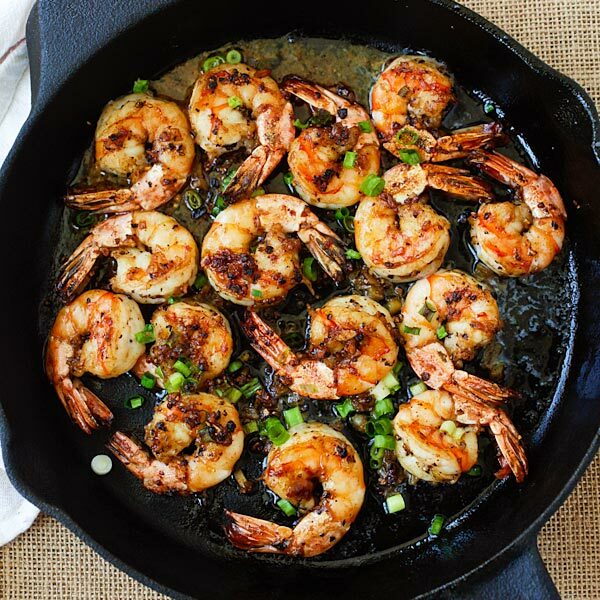 Black pepper shrimp – garlicky and buttery shrimp in a savory black pepper sauce. 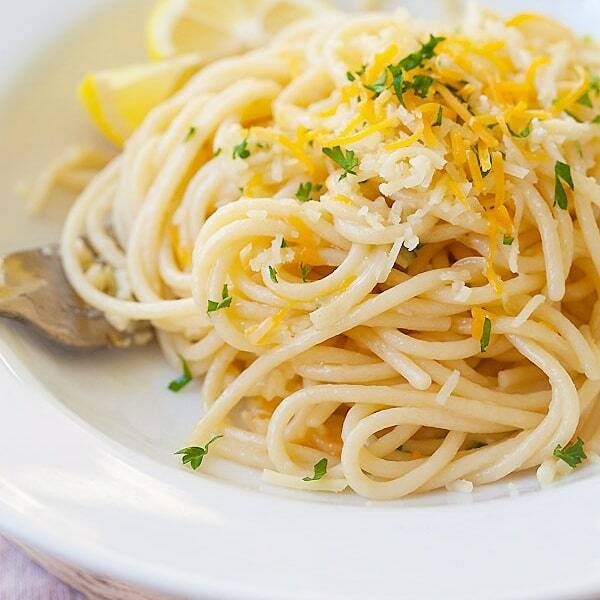 An easy recipe that takes 20 minutes, so delicious! Remove shells from the tiger prawn or shrimp, but keep the tail on. Lightly pound the black peppercorns using a mortal and pestle until they are coarsely cracked. You may use the flat side of your knife to press, crack, and coarsely chopped the peppercorns. Heat up a skillet or wok and add the melted butter on medium heat. Saute the garlic and black pepper until you smell the aroma of the pepper, add the tiger prawn or shrimp and stir to combine. Add the oyster sauce, stir a few times before adding the wine and sugar. Stir fry until the prawn or shrimp are cooked. Add the scallions, stir to mix well, dish out and serve immediately. 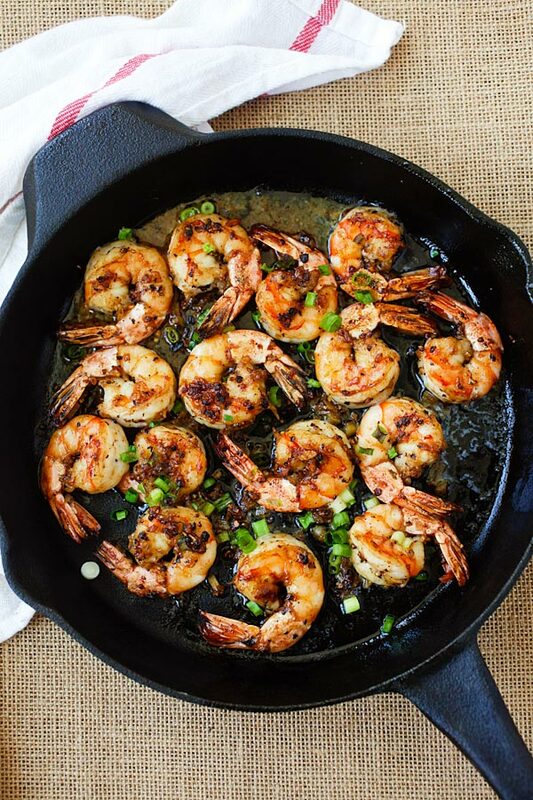 For the best results, broil the black pepper shrimp in the oven for 1 minute to slightly char the surface. 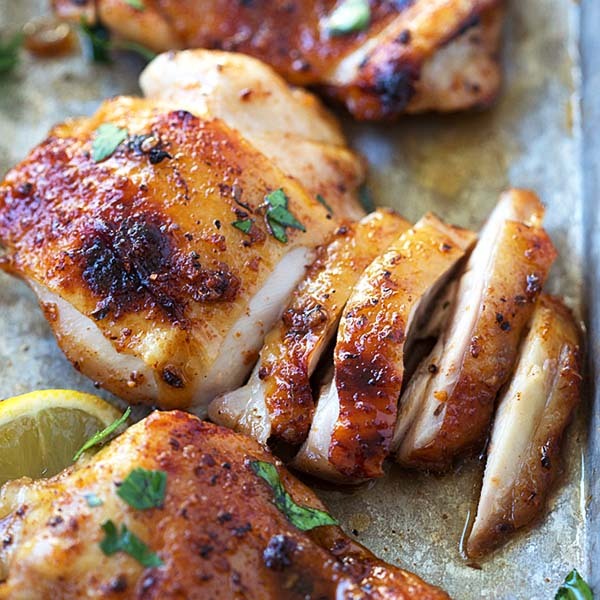 Omg, this was the fastest and tastiest dinner ever. It took just long enough to heat my chinese noodles. And dinner was ready. Thanks for sharing. Hi Judith, yes this recipe is awesome! Thanks Tina. 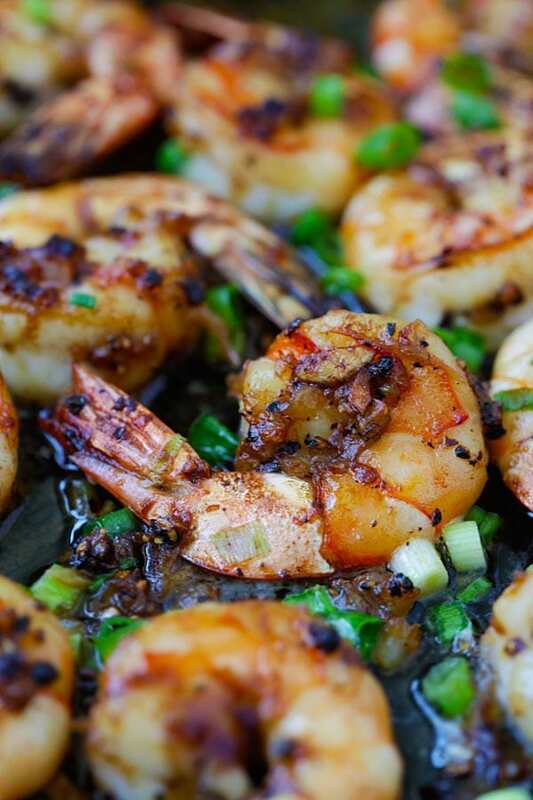 Yes this black pepper shrimp recipe is awesome! 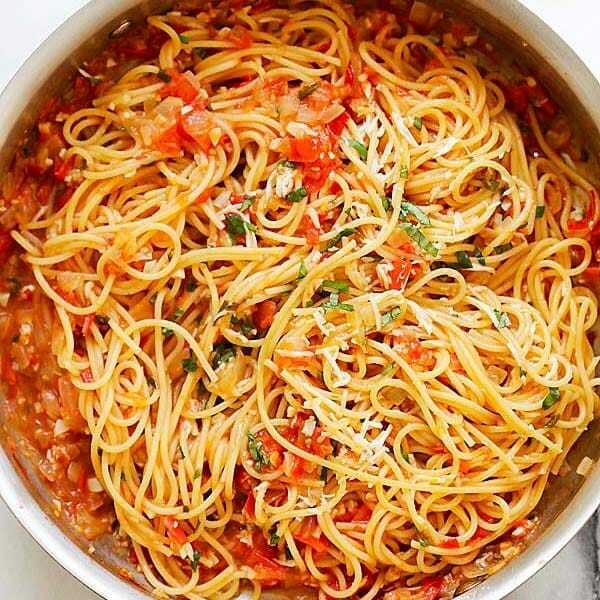 I just tried this recipe and it is so good. My parents love it too. I will surely do it again. tastes better with natural shrimp, not from breeding farms. Of course but it’s not easy to buy wild caught fresh shrimp here, they are still frozen. 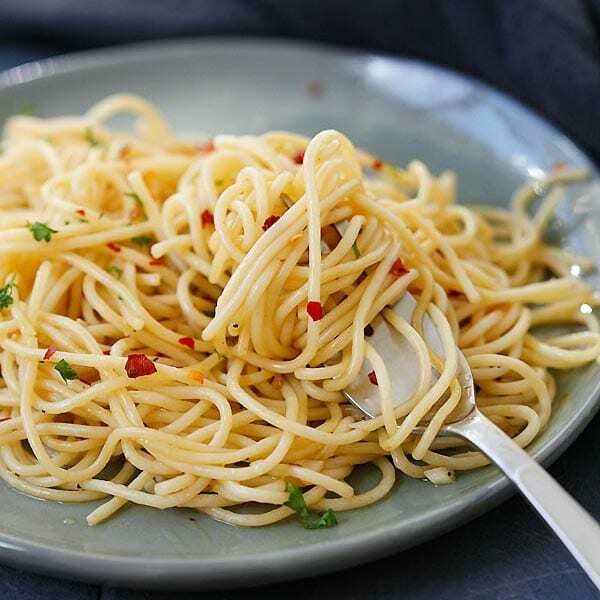 This is so easy and quick especially for a lazy cook like me. But it was still so delicious. Thanks again for a great recipe. Thanks for trying my black pepper shrimp recipe. 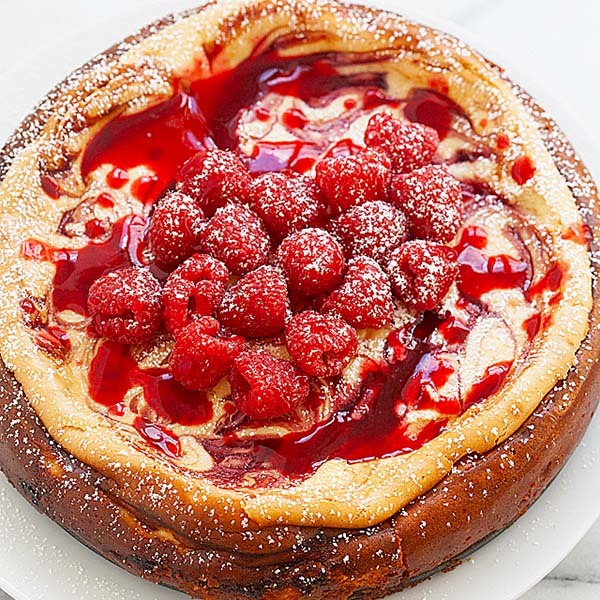 Just popped over from Instagram for this recipe! I love pepper shrimp but have always made it with Szechuan pepper – I’ve never made it with black pepper. And the other flavors you have going on here sound just perfect. I can’t wait to try this!! Hi Marissa, yes try this recipe, it’s amazing! Is there a substitute for the chinese rice wine? Dry sherry or just skip.